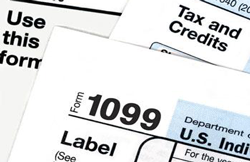 Rentec Direct provides full e-file functionality for 1099-MISC tax reporting with the IRS. With the help of the 1099 Tax Assistant and through a partnership with an authorized IRS tax reporting service, your 1099-MISC reporting can be done with a couple clicks of a button. The data is retrieved directly from your accounting system to ensure error-free transmission. Learn more about tax requirements for property managers.